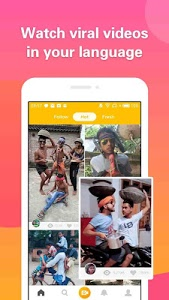 4Fun is a free Funny Video & WhatsApp Status Video Community, It is available in 10 language like Hindi,Telugu,Bengali,Tamil…it's the best way to discover thousands of Indian videos. You can express yourself by sharing short video clips, video songs, video songs status. Become popular in India, make new friends, share and chat with people. Share funny videos, music video, video songs, video songs status, WhatsApp status videos and video status 2018. 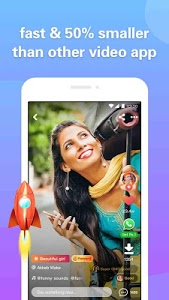 4Fun is also a fast, simple Video Editor to trim videos, add text, stickers, filters and music, songs, you can easily create and upload your music videos. There are Republic Day video hashtag and Republic Day topic challenge on 4Fun, you can create video related to the topic Republic Day using Republic Day photos and Republic Day music. Besides, 4Fun is the best video download app. It provides free video download, funny video download, whatsapp status video download, short video download & Republic Day video download, video status 2018 download. 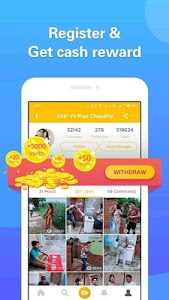 Become popular in India by create and upload short videos, increase your followers, share and chat with thousands of users. Download videos in your native language. Like video, Telugu video, Bengali video, Bengali video, Bengali status video. - Watch funny, viral, general knowledge and hot videos uploaded daily. - Follow, share & chat with people whose videos you like. - Create your own short videos and slideshow video in a minute. 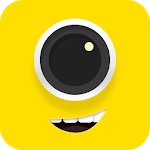 - Edit videos with creative effects, filters, music , stickers and text. 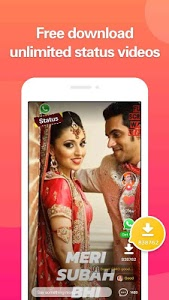 - Download funny videos and status for whatsapp within few seconds. 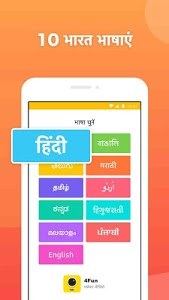 + Trim your videos in your native language, like video, Telugu video, Bengali video, Tamil video, Bengali status video, Bengali status video 2018, create video clip in a minute. + Merge videos into one story, publish it as a single video. + Add music to video, make your own music video. + Make your slideshow video, you can add music and text on your photos. + Edit videos with hundreds of user-friendly special video effects that include stickers, filters, songs, themes, frames and a lot more. 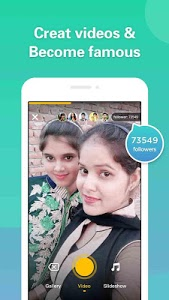 + Upload short funny videos, edit them with cool filters and effects. Watch, create, share short Indian videos share & chat anytime, anywhere! There are so many music video, funny videos and lol gifs related to astrology, bollywood, cricket, devotion and a lot more in 4Fun community! We value your feedback A LOT. Please report bugs or give suggestions to us. Let's make 4FUN a better community together! 3. Fix video quality issue. Similar to "4Fun - Funny Video, Status For WhatsApp,Share&Chat"